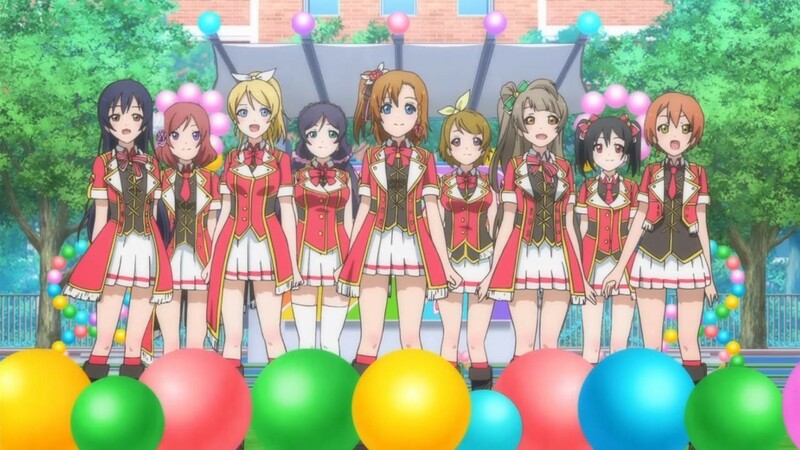 It seems to be a rule of anime that if you have an idol show, there MUST be a second season and “Love Live II” is no exception. We follow our nonet as they decide to put on the gauntlet again and try for stardom. But they bring in a lot of artificial problems to force them to fish or cut bait. The first problem is that Honoka Kōsaka (in the lead spot) is now Student Council president and doesn’t have the time for this. The second is that Love Live is now doing regionals and their group would have to beat A-Plus to move ahead. The third is that three of them will graduate by the end of the school year, so this would be the last time the original members could perform together.